You're so welcome. Have fun! Aww thanks for sharing my gingerbread stuff! 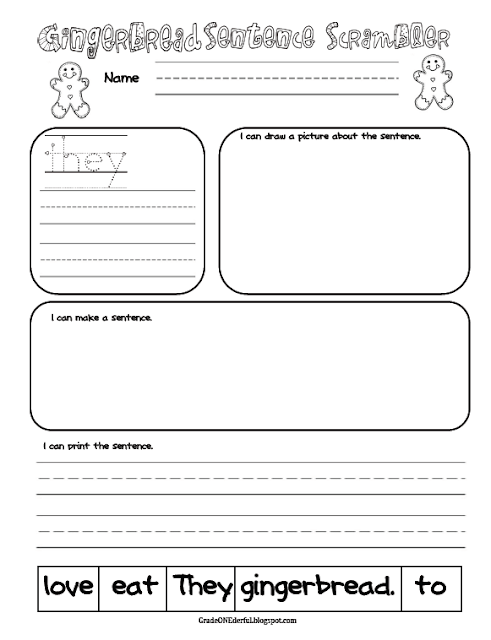 I love your sentence scramble - I have a couple little darlings who are stuck on the word "they" right now, so we will be doing this tomorrow! No problem:) I'm always happy to link to fabulous blogs like yours! I am so excited! I am in the K room for three weeks and NEED good gingerbread stuff. Thank you! Cute freebies!!! Thanks for sharing Barbara! Love the freebies! Thank you for sharing. 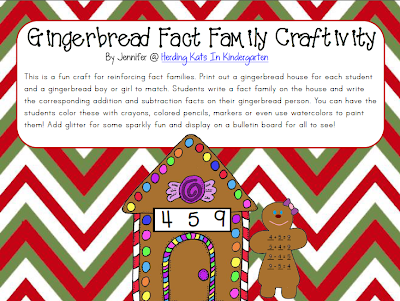 We obviously love everything Gingerbread in my classroom! Cute ideas for Gingerbread week. Thanks for sharing! Thanks for also stopping by my blog. I'm a new follower of both of your blogs now! Barbara, thanks for the cute freebie! 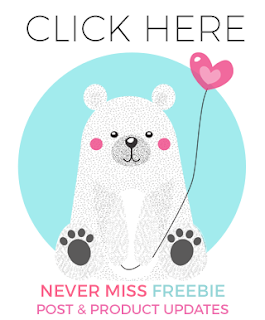 I have already printed Jennifer's freebies and am using them this week. this is a perfect addition! Love the freebie and LOVE the song! 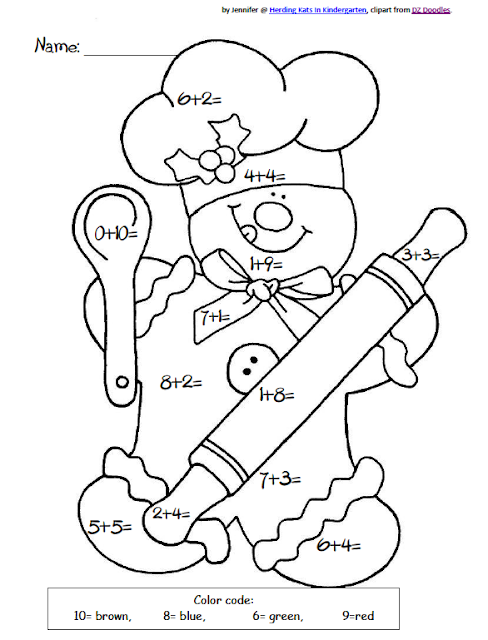 We are having gingerbread fun this week - baking gingerbread kids tomorrow. 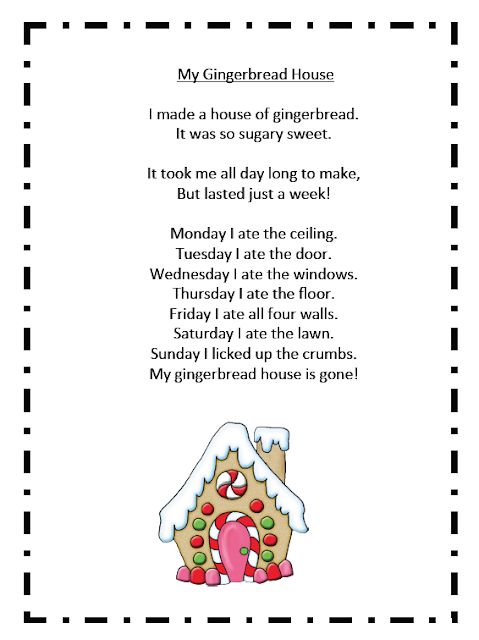 Love your gingerbread poem. Barbara, you know I LOVE all things GINGERBREAD! I hope you are having as much fun as I did last week! Thank you so much for the Sentence Scrambler freebie! I have a few kiddos that can definitely use this! 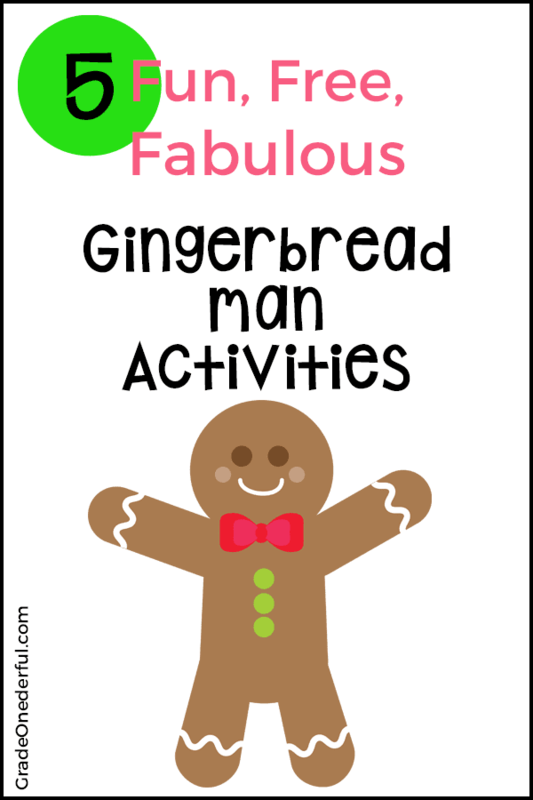 A gingerbread unit would be so fun! Thank you for the cute poem and ideas!! So many great things to do and so little time! I'm thinking about having theme days next week so I can squeeze lots of awesomeness in. I LOVE your sentence scramble. Thanks for sharing!